We are at the point of the spring season where everything in the Twin Cities will bloom at once. This in turn will send allergy sufferers to medication and combat the pollen. 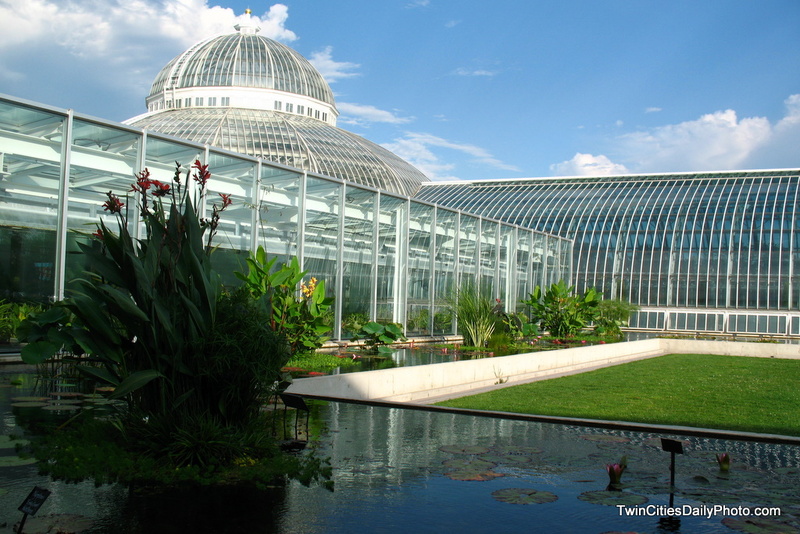 The photo is an outside view of the Como Conservatory in St Paul. The tax payer/local business funded Conservatory is a crowd favorite with hundreds of plants from around the world growing in an ideal area. I love the architecture of conservatories, and this is no exception. Gorgeous! especially against that wonderfully blue sky with white, fluffy clouds. It's a wonderful place to visit, esp. during the cold winter months, but the grass looks far moe inviting than the snow!